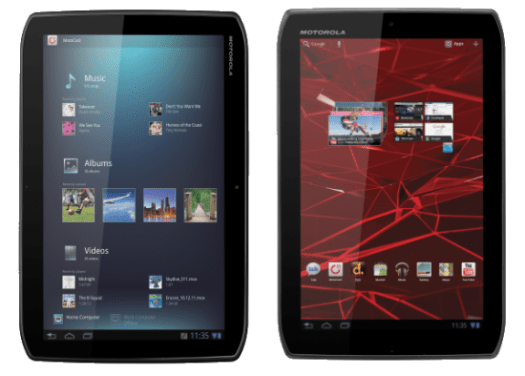 Motorola XOOM 2: Too little, too late?! I knew it was coming for some time and there were even rumors of it, however Motorola has officially announced their new Android enabled tablets; Xoom 2 and the Xoom 2: Media Edition. While the Xoom 2: Media edition will not make it to the states, at least not yet, the Xoom 2 will and with the following features. Gorilla Glass display and splashguard coating. The XOOM 2 will retail for $599.99 which puts it into iPad & Samsung Galaxy Tab 10.1 territory, there’s no confirmed price for the XOOM 2: Media Edition yet. However here lies my issue. As an owner of the original XOOM I don’t see any real improvement over the original XOOM. The hardware specs are the same (Or less, the XOOM had a front 2.0MP camera), I can’t comment on the processor as they didn’t confirm the new processor, however it is still a dual core and no change in the cameras or display. To make matters worse, as soon as it’s released (or actually even before it’s released) it will already be outdated as the Asus Transformer Prime will be using the Nvidia Kal-EL / Tegra 3 chipset that provides 5 times more power compared to the Nvidia Tegra 2 which seems to be powering the XOOM 2. Adding more injury is that Motorola is up to it’s old games as the SD-card will be locked on both models, just like it was or I should say is with the XOOM. I say that as it’s still crippled, well it is if you use the default 3.2 update which allows you to read from the SD-card but you can not write to it (well you can if you root and install a different rom on your XOOM). This is very discouraging to say the least, let’s hope the imminent Android 4 (ICS) update will correct that. I don’t know what you were thinking with this Motorola, but it definitely seems like a miss here. Maybe if you drop the price down to say $399 you may do ok, but with the upcoming release of the Asus Transformer Prime (also rumored to retail for $499.99) for those wanting some real house power and the Amazon Kindle Fire for those wanting an Android powered tablet with a low price, you’ll find that the XOOM 2 is still right smack in the middle of trouble. LONDON – November 3, 2011 – Building on the success of Motorola XOOM™, Motorola Mobility is rocking the tablet world yet again with two additions that bring enhanced experiences to the European market. Wi-Fi variants of the Motorola XOOM 2™ and Motorola XOOM 2 Media Edition™ – boasting powerful productivity, rich entertainment and customizable experiences — are now available: the answer to consumers looking for a tablet that can keep up with their lifestyle. Both tablets will be available at Carphone Warehouse in the UK and Ireland, as well as Best Buy, PC World, Dixons and Currys in the UK.